We are a cohousing community of 19 families occupying 18 detached residences (17 single-family units and 1 duplex). We are located a quarter mile from the Vashon town center. Vashon is an island in Puget Sound, and is about 40 minutes (by a combined bus or car and ferry trip) from downtown Seattle. 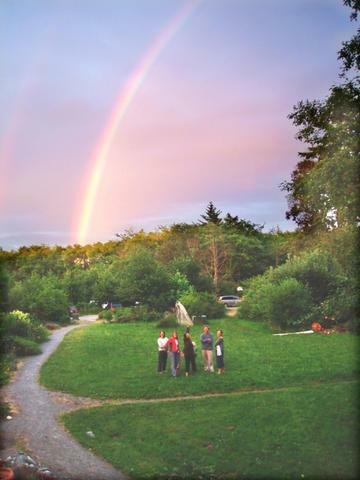 We enjoy organic gardening, spontaneous potlucks and gatherings, commemorating our twenty-five year history, and tending our beautiful 13 acres.